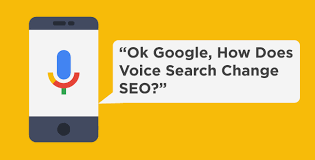 AS more and more technology brings voice search into our daily lives, you need to make sure that your site is optimised not only for the web, or the reader, but also for the robot and the listener. More and more optimisation is needed for voice searches that are different to traditionally written searches. For example, if you have an Amazon Echo, you’re very unlikely to say “Alexa, tallest building world”; you are more likely to say “Alexa, what is the tallest building in the world?”. 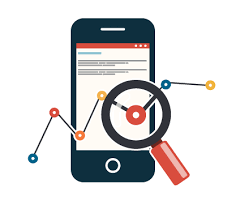 On this point, if your site is not mobile optimised, then it's really time to step into the new world and do it. Last year there was a big drive by companies to optimise for mobile, and so if you aren’t you’re going to get left behind. 2017 was the year that nearly every business made a blog. Realising that high-quality content is what drives SEO in the modern-day meant they were quick on the ball to get the old content mill running. However, what they didn’t realise was that keyword stuffed half-thought out articles is not what ‘high-quality’ is and search engines see right through this. By ensuring your content is genuinely helpful, engaging and relevant will change this around. Last year was the year of content. This year, it’s all about the relevancy. On most social media websites, your content isn’t going to be seen and engaged with if you don’t invest in promoting your posts. Yes great content does get more organic engagement than a bad piece, but it still pales in comparison with even a small boost of paid advertising. You will also want to make sure you know your target demographic so that you can target these groups specifically. For example, if you wrote a piece specifically for young professionals, you should target your paid promotion here. If you can only accept orders from the UK, you should tighten the promotion to just those in the UK. Most people (over 80%) search for businesses on Google Maps, so if you haven’t updated your company's information, you’re missing out on customers. By registering on Google My Business, you can easily keep your info up-to-date. Remember to keep an eye on other popular search sites, such as Yelp, too. Contact us at Grizzly today to learn more about our SEO services.